Crafted in America with quality, the Amish Crafts Ornamental Wheel is a fantastic addition to your outdoor accessory collection! 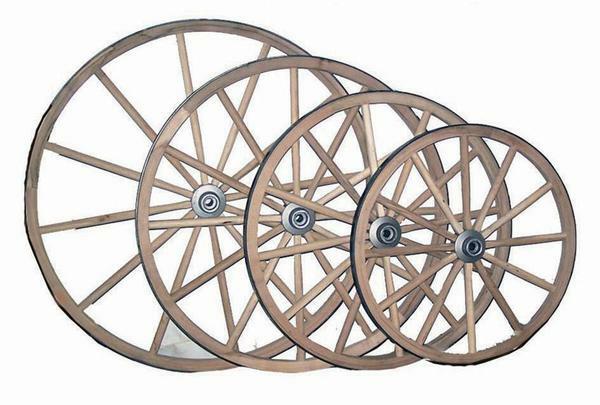 This Ornamental Wheel is a great choice for a functional wagon that needs to carry loads. Made from hickory wood with a steel band, this wagon wheel is sturdy and durable so you can have a functional wagon for years! Made with Hickory Wood & Steel Band.